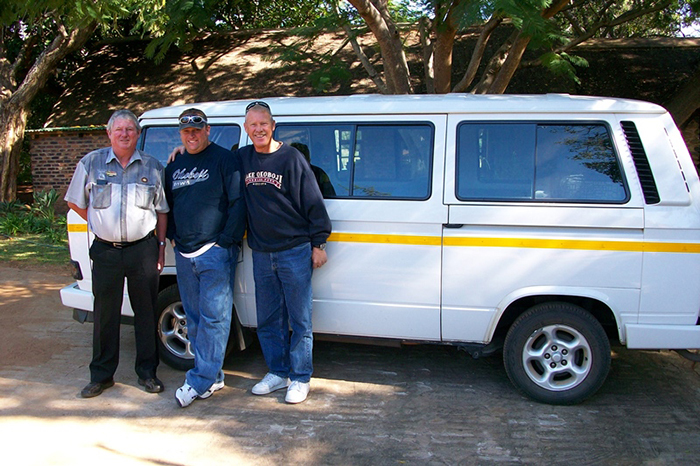 Return transport from Johannesburg to Kruger Park by 7 seater air-conditioned microbus. Collection or drop off at Johannesburg or Nelspruit Airports depends on timing & is on request from our Sales Consultant. Services of our specialist Kruger Park guide for 5 days. 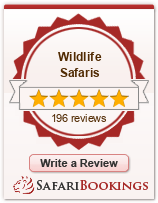 All entrances & daily conservation fee in Kruger Park. Total 8 game drives usually by 9 seater open safari vehicle in Big 5 areas of Kruger Park. One evening drive by larger National Parks open safari vehicle using spotlights to see nocturnal species. Use of binoculars & maps on safari drives. One night Hippo Hollow Hotel ( or river lodge ) following scenic drive. Three nights chalet accommodation at a Main Camp inside Kruger Park including dinners and breakfasts served in the privatised Camp restaurant. We use The Cattle Baron or Mugg & Bean restaurants & your guide will make arrangements. 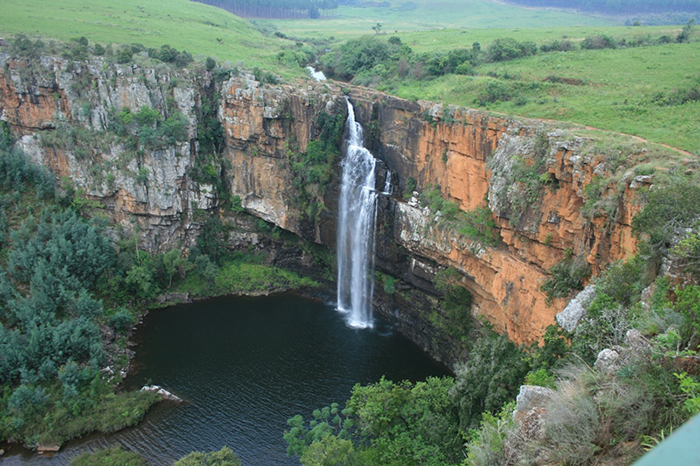 Sightseeing along panorama route to see Blyde River Canyon, God's Window & waterfalls. Time for browsing at ethnic markets. Guided bush walks can be arranged on selected 4 day or 5 day itineraries & this replaces 1 game drive - ask Sales consultant about details & additional cost. Please be aware that during the summer months of December, January and February we may have some rain or misty conditions affecting the visibility along the Panorama Route. This will interfere with your sightseeing up in the mountains, but the weather down in Kruger Park can be quite clear for watching the animals. Lunches which are available for own account, drinks, personal items & tips. We are a small group Operator so if you have any Special Requests please ask your Sales Consultant. In Johannesburg between 07h00 and 08h00 at O R Tambo Airport and hotels nearby recommended. Other areas such as Sandton or Rosebank on request. Please avoid Johannesburg City Centre, Lanseria Airport and Pretoria. Nelspruit Airport is from 12.00 - 12.30 or by arrangement. At O R Tambo International Airport or nearby hotels usually by 16.00. Please allow 1.5 hours connecting time for local flights or preferably 3.0 hours for International flights. Passengers staying at hotels in the northern suburbs are advised to use the Gautrain to Sandton or make arrangements for a transfer. Optional: 3 hour Morning bush walk - ask your Sales Consultant for details and additional cost. Chalet accommodation with air-con, insect screens, private shower & toilet. Meals arranged by your guide in privatised Camp restaurants such as Cattle Baron, Mugg & Bean or Tindlovu. KRUGER PARK CAMPS for an explanation & picures of the chalets we use at tourist rest camps in Kruger Park. PANORAMA ROUTE for pictures of Blyde River Canyon & nearby. HIPPO HOLLOW HOTEL for more information. Leave Johannesburg in an air-conditioned microbus with an experienced Kruger Park driver / guide . Travel east across the Highveld farmlands and down the Valley to Nelspruit - capital of Mpumalanga province. After a lunch break, enter southern Kruger Park for your first exciting game drive when you will learn how to spot animals and search for birds. You will be driving through lightly wooded bushveld and you can expect to see antelope, giraffe and possibly elephant. Before sunset arrive at your Rest Camp and book into an air-conditioned chalet with screens over the windows to prevent insects. Your guide will arrange dinner in the privatised restaurant then walk back to your chalet under the starlit sky. Head out for an early morning game drive in search of lion and other Big 5 species ( lion, leopard, elephant, rhino & buffalo). Stop at Lower Sabie if possible for breakfast and a great view of any hippos or crocodiles in the river. 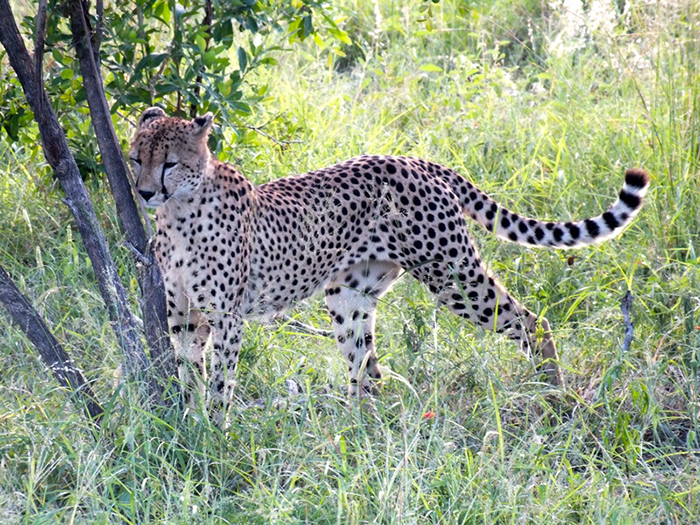 Proceed on the next game drive travelling through the open grasslands so its easier to see smaller species. Return to your Rest Camp for a break during the heat of the day - time for lunch or a swim. Approximately 16.00 board the National Parks open safari vehicle equipped with spotlights for a sunset drive ( duration 3 hours ) and a chance to see predators or other nocturnal species. Your guide will collect you for dinner in the licensed restaurant then return to your chalet. Awaken early for a full day game viewing and birdwatching. There are usually 3 game drives and your guide will choose a route depending on recent sightings and his knowledge of animals in different seasons. During your safari you will travel through different types of vegetation which leads to a variety of species. You can expect to stop at view points along the Sabie river and some waterholes. An optional guided bush walk with a National Parks ranger can be organised instead of 1 game drive - please ask us for details, cost and times. Depending on availability, we try to plan accommodation at a different Kruger Camp so you have a change in scenery and experience another restaurant. Pack up and depart on your final sunrise game drive heading towards the exit gate of Kruger Park. Review your checklist as you travel to a restaurant for a welcome cup of coffee and breakfast . 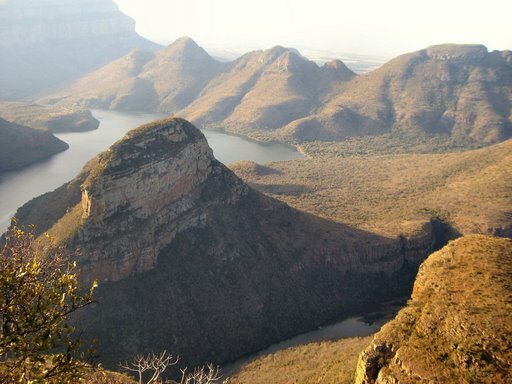 The rest of the day is devoted to sightseeing on the Panorama Route - visit 3 Rondavels in the Blyde River Canyon then other viewpoints as time permits. Browse at the informal markets for African curios. 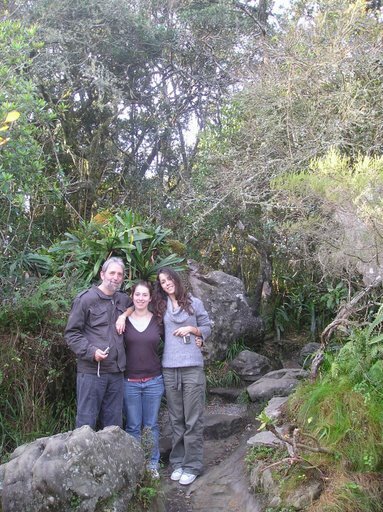 Drive down Kowyn's Pass to Hazyview and check into Hippo Hollow Hotel ( or similar ) for a traditional South African dinner and overnight. Enjoy breakfast at the hotel discussing highlights of your safari and the culture of the locals in this sub-tropical Lowveld region. Depart from Hazyview and travel past orchards and forests to Nelspruit then back up to the Highveld. Arrive in Johannesburg at O R Tambo International Airport or nearby hotels by 16.00. Please allow 1.5 hours connecting time for local flights or 3.0 hours for International flights. Passengers staying at hotels in the northern suburbs are advised to use the Gautrain to Sandton or make arrangements for a transfer. Refreshment / comfort stops will be planned every 2 - 3 hours during transfers. Please discuss the daily program with your guide. Duration of each game drive is 2.5 to 3.0 hours. This itinerary includes 8 drives. It is advisable to take precautions against malaria especially during the rainy season from October to May . We recommend insect repellent & protective clothing in the evenings . If you decide to use medication - Malarone tablets are the best for Kruger Park. Bring sunglasses, a small hat, swimsuit, a camera, torch / flashlight, light casual clothes for daytime and a warmer clothes for night drives. Remember there will be a chill factor travelling in the open safari vehicle especially from June - August. A policy of "no smoking" and rotation of seats in the vehicle is recommended. Gratuities to driver/guide, waiters and porters is not included.